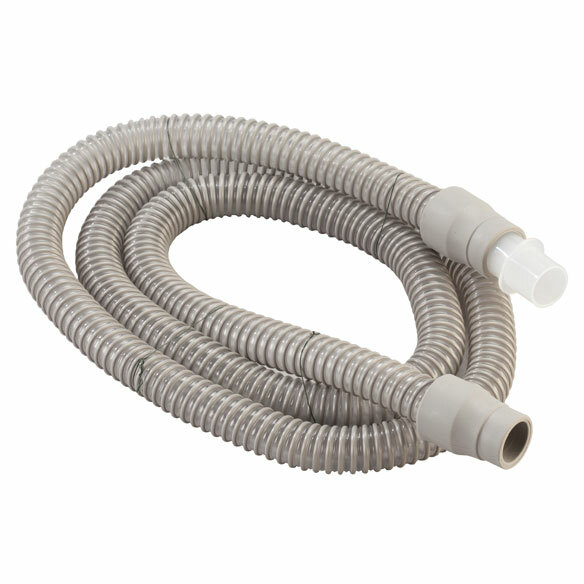 Replace an old, stiff CPAP hose with universal CPAP tubing that moves with you. Flexible design bends to accommodate your sleeping style, helping you get a restful night's sleep with fewer leaks and interruptions. Durable, flexible tube moves with you. Universal design attaches to any CPAP mask and sleep therapy machine. 6'L tube with 22mm connector. Haven't used yet, but looks just like the original hose. 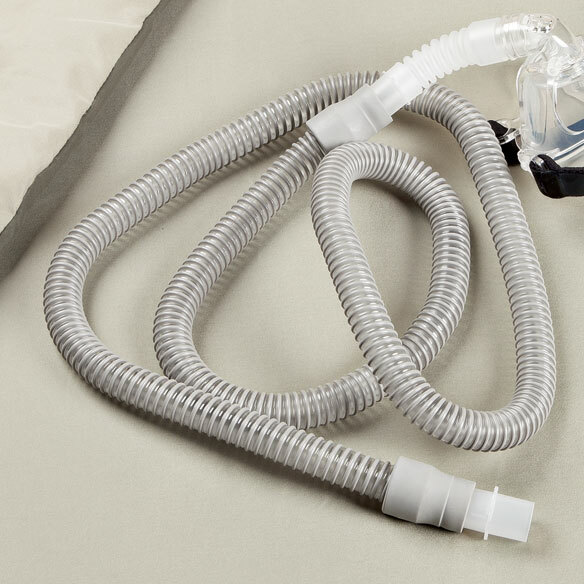 Ordered these CPAP hoses, because the ones we rec'd from the medical supply had broken. Hope these will hold up better. Used to have problems keeping my mask on at night.but not any more. Since the Cpap tubing is necessary for use everyday. Because I have sleep apnea, I will order this tubing again. The price is comparable to other places that I have checked. Would not stay attached to face mask. Discarded it. So sorry it didn't work. Waste of money. I chose this because I need to replace my tubing. The tubing that I currently have keeps sliding off the mask. Because mine is coming apart & I tried to get one from Bennett medical & they never answered me. I really need one. I use the CPAP machine. Way more affordable than where I get mine now. It's easier to go through Easy Comforts than the sleep study place and hopefully out one cat stops thinking it's a top and stops biting it. I needed a replacement and this match my original equipment. Works great. My son needed one of these . Because extra tubing costs $45 from my provider. I chose this item to ensure I would be able to use the cap mask I also purchased. Do I need a prescription for this? BEST ANSWER: No you don't. That also goes for the masks . I had trouble finding a place to order these without a prescription. Thank you easy comforts for making it easy to order. No you don't need a prescription.